With the death of Yevgeny Primakov on Friday, June 26, Russia has lost an outstanding leader who helped stabilise the country during the turbulent post - Soviet decade, and India a good friend, who revived and bolstered the strategic bilateral relationship. Russia has lost a great statesman, veteran diplomat and outstanding academic in the death of Yevgeny Maximovich Primakov, former prime minister and foreign minister, and outstanding leader of the post-Soviet period. Primakov’s death brought curtains down on an entire epoch in Russian history. The journalist, academician, diplomat, political leader and statesman would be remembered in Russian history mostly as the man who rescued Russia from the abyss of its worst ever financial melt-down, and the man who changed the course of Russian foreign policy. 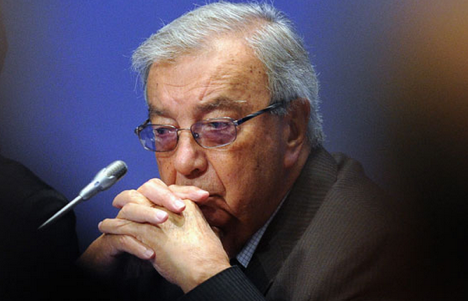 Primakov trained as an Orientologist, with specialization in the Middle East, from Moscow State University. He worked as a Pravda correspondent in West Asia, cultivating good personal relations with many Arab leaders. He headed the Arab section of Moscow radio foreign service, before becoming Director of Moscow’s prestigious Institute of Oriental Studies in 1977. He was then chosen Director of the Institute of World Economy and International Relations, Soviet Union’s premier think tank. Primakov as a proponent of New Political Thinking made major contributions to Soviet foreign policy during those years, helping to ease tensions between the two adversarial blocs during the Cold war. He had little sympathy for pro-US ‘democrats’ and ‘neo-liberals’ then, and opposed the imposition of emergency in August 1991. After the failed ‘coup’ against him, Mikhail Gorbachev appointed Primakov as First Deputy Head of the KGB and head of SVR, the foreign intelligence service. After Gorbachev’s ouster from power in December 1991, Primakov was among the very few members of the old Soviet elite to continue under Boris Yeltsin. Russian analysts give Primakov credit for keeping the SVR intact in the backdrop of Yeltsin’s efforts to dismantle the KGB for its alleged role in the August coup. The agency under Primakov’s leadership was famous for critical reports it produced about domestic and foreign policies pursued by Yeltsin. After Yeltsin’s ruling elite was routed in December 1995 State Duma elections, Yeltsin replaced foreign minister Andrey Kozyrev with Primakov, who crafted a new foreign policy to defend Russian national interest. Primakov became the author of the concept of a multi-polar world and architect of Russia’s pragmatic, multi-vector foreign policy, under which priorities and directions of Russian foreign policy witnessed dramatic change. Yeltsin’s Russia was plunged into the worst ever economic and political crisis, leading to a declaration of Russia’s bankruptcy for the first time ever in its history. This forced Yeltsin to sack his bankrupt government headed by (Sergey) Kiriyenko. Primakov emerged as the only acceptable candidate to the State Duma and became Prime Minister in September 1998. Primakov’s government was better known as the Primakov–(Yuri) Maslyukov government, with the latter becoming deputy prime minister in charge of the economy. The Primakov-Maslyukov government shifted the economy to a trajectory of economic growth under state regulation for the first time in a decade, saving it from disaster. Perhaps the most defining moment for Primakov came on 24th March 1999 when, on his way to Washington on an official visit, he turned his flight back over the Atlantic, and returned to Moscow after hearing of the NATO bombardment of Serbia, an ally. This mid-Atlantic turn became a turning point in contemporary Russian history. Primakov’s economic policy to kick start domestic economy, foreign policy to defend national interest, his declaration of war against unscrupulous oligarchs (the thief must sit in jail) won him enormous popularity in Russia. Yeltsin sacked Primakov’s government on 12th May, 1999. Primakov, the most popular leader in post-Soviet Russia, was a great friend of India. He contributed significantly to Indian studies in his capacity as Director of Moscow’s Institute of Oriental studies, which has a strong centre on India-related research. He did a great deal to improve relations between Delhi and Moscow as head of SVR in the first half of 1990s, when India had been relegated to the bottom rung of Russian foreign policy priorities under Kozyrev. India’s relations with Russia were strained in all spheres during Yeltsin’s rule. There were a host of vexed issues like the rupee-ruble exchange rate, serious decline in bilateral trade turnover, the cryogenic engine issue, stopping supply of all defence spares to India by Russia, differences over Jammu & Kashmir, Moscow’s change of stance on South Asia’s nuclear status in favour of Pakistan, treating India at par with Pakistan, and so on, which hit bilateral relations badly. President Yeltsin’s official visit to India in January 1993 took place in the backdrop of these serious irritants. Primakov, not Kozyrev, was in charge of preparatory work for Yeltsin’s visit to India. The visit successfully cleared many roadblocks and helped improve bilateral ties. When Primakov replaced Kozyrev in 1996, India was his first foreign destination, signalling significant change in Russia’s policy towards South Asia. Primakov also advanced the concept of a multi-polar world, which India also advocated. India was to play a significant role in Primakov’s multi-polar world concept, and both started talks about building a multi-polar global order against the US-led uni-polar world concept since 1997. Striving for a multi-polar world finds an important place in all subsequent bilateral documents and joint statements issued by both countries. This was also the period when the concept of strategic partnership between the two countries was conceived. This became a reality and flourished into a special and privileged strategic partnership since then. In fact, Delhi and Moscow had, during Yeltsin’s 1993 visit to India, agreed to hold annual summits alternatively in each others capital. However, this could not be translated into reality as Yeltsin never visited India after 1993, even though successive Indian Prime Ministers P.V Narasimha Rao, H D Devegowda and Inder K Gujral visited Moscow for those alternate summits in Moscow. So Prime Minister Primakov undertook an official visit to India in December 1998. This became an important milestone in the history of bilateral relations. For the first time, bilateral official documents talked about ‘continuity’ in our mutual relationship, referring to the historic Indo-Soviet treaty signed in 1971. This played a crucial role in shaping bilateral ties in subsequent years. This visit took place in the backdrop of NATO’s bombing of Serbia, with Primakov floating his famous idea of a ‘strategic triangle’ comprising Russia, India and China, to play a greater role in Asian and global affairs. The idea is yet to be translated into reality. However, annual meetings of the three foreign ministers are an important step in the direction of a strategic triangle. In Primakov’s death, India lost a great friend who contributed immensely to strengthen our strategic partnership. His ideas of a multi-polar world and ‘strategic triangle’ would be an important focal point in the turbulent global order.